Six days ago, I finished my novel. Yes! It has taken four drafts and almost two years to hone the 150,000 or so words of my historical epic family drama. Given that I completed the first draft in just twelve months of furious writing, I find it amazing that I then spent another eleven months editing my work, word by precious word. In the early months, when I sat before my personal computer in full narrative flow, I naively wondered why some books took their authors seven to ten years to write. Now I know. Looking back, I can see that the first draft contained mainly bare bones. It was as if I had to pour the words out onto a page, so that I could tell the story to myself. Many writers say they don’t share their first drafts with anyone else, but perhaps I’m more thick-skinned. Besides, I find I need feedback to get those creative juices flowing. I therefore showed my first draft to my partner, and also to a professional developmental editor. If I had to do it again, I would do exactly the same thing. I was fortunate in having Dr. Nathalie Teitler, formerly a tutor at Spread the Word, among other organisations, as my editor. 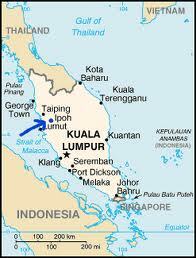 The drama I’ve written takes place in Ipoh, Malaya (see map), within a complex multicultural setting, and I needed an editor who would be sympathetic to such material. Right from the start, I became used to criticism, to having chunks decimated, even a whole chapter rejected. I write to be read, and I needed such input. In that period, I also sent my early draft to two literary consultancies. Both are reputable and advertise themselves as ‘leading’ consultancies, yet they gave opposing feedback: one very encouraging, the other much less so (I had not told either that this was a first draft). The experience confirmed what I had already suspected – that whether your writing is deemed ‘good’ is highly subjective. Much in the writing industry seems a matter of taste. When I started the second draft, Nathalie worried I would lose momentum. It happens to many, she said. With me, the opposite was true: ideas came quickly and not always in tangible form, often at night in half-dreams from which I awoke, unsure of the words that had been churning in my head. I was in Malaysia at the time. Something about the heat, the food, family and the way people speak there (Wahh! Like that also can ah?) stirred my imagination. Thanks to a prolific subconscious, large chunks were added to and taken away in the second draft. A major edit, I thought, until I began the third draft. That was when I really did sharpen every word in every sentence. It is now quite a different book to what I had at the beginning, or even after the second draft. By that, I don’t mean that the underlying story has changed, rather, that I’ve told it using many more motifs and metaphors. Editing, I was to learn, is an art. An art which I resisted, until I started to enjoy it. Editing is hugely time-consuming, and anyone who has put together a presentation in the corporate world will understand one of its frustrations. Changing a phrase in the third paragraph of the second chapter could impact the flow of what came before, as well as what comes after. Often, you have to re-read a lot more than just the short paragraph you are changing. Late in the editing process, I discovered a critical tool: reading aloud. I found that if I could not get my tongue around a sentence, it was usually because there was a problem with that sentence. When I re-wrote it in a way that made it easier on the tongue, the prose invariably became clearer. But reading aloud an entire epic drama of 150,000 words twice from start to finish takes a lot of time. It has a cost on family life too, if your partner happens to be your first reader, which is the case with me. Every time I re-wrote a piece, she was asked to read it. This was especially true of the beginning and end, which I re-wrote, re-read and re-wrote many more times than five, in fact, so many times that I fear I may have lost my first reader in the process. I worry she won’t bother to read the published book! Be that as it may, I can finally say I have completed my first novel. Hallelujah!